The human rights defender Liudmila Alekseeva, head of the Moscow Helsinki Group and member of the Presidential Council for Human Rights, told the Russian News Service she was invited to the presidential administration on her 88th birthday [which falls on 20th July]. “I was invited to meet with Volodin [the first deputy head of the presidential administration] at 4pm. I got a call from the presidential administration saying that they would be expecting me,” she explained, adding that she didn’t know what they have in store for her. Liudmila Alekseeva describes her life’s work as the protection of human rights. She emphasized that on the 5th December this year it will be 50 years since the creation of a human rights movement in Russia. “We still have a great deal of work ahead of us. Our officials and ministers do not respect our citizens, their rights or their human dignity,” emphasized Alekseeva. The human rights activist considers her friends to be her life’s greatest reward. “I have been incredibly lucky: I have many friends, who are like-minded and remarkable people. People say that old age brings solitude; in my 88th year I cannot say that I am alone. I have many friends, many people working with me, and their ranks are growing. And it is this, that I am surrounded by many people and good relationships, that is the greatest award I could receive in this life,” concluded Alekseeva. Liudmila Alekseeva was born in Evpatoria and spent her childhood in Moscow. In 1941 her father was sent to the Front and Liudmila Alekseeva was evacuated to Kazakhstan. Upon her return to Russia, she decided not to go back to school and requested to be sent to the Front or to work in a wartime factory. She trained to be a nurse, but was too young to serve in the army. She was instead sent to work on the construction of the Moscow metro. In 1945 she enrolled in the history faculty of Moscow State University, specializing in archeology. In the 1960s Alekseeva became involved in the dissident movement. She and her friends distributed samizdat and after the beginning of the trial of the writers Sinyavsky and Daniel spoke out in their defence. Alekseeva soon started an initiative to carry out regular collections for political prisoners and their families. Liudmila Alekseeva returned to Russia in 1993. 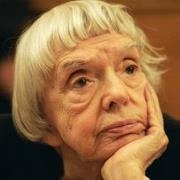 Since 1996 she has been the head of the Moscow Helsinki Group. She became a member of the Presidential Council for Human Rights in 2002 (at that time called the Presidential Human Rights Commission, which in 2004 was changed to the Presidential Council for the Promotion of the Development of Civil Society and Human Rights, and then in 2010 became the Presidential Council for the Development of Civil Society and Human Rights). In 2012 she chose to leave the Council, but on the 26th May 2015 President Putin issued a decree again including her in the Council. She is currently working on the standing committees for the development of NGOs, and for promoting the work of the Public Monitoring Commissions and prison reform.